Toon's Tunes : And another thing to do this weekend. This one won't keep! 30% OFF AFTERSHOCK! Louder Than Life! And another thing to do this weekend. This one won't keep! 30% OFF AFTERSHOCK! Louder Than Life! 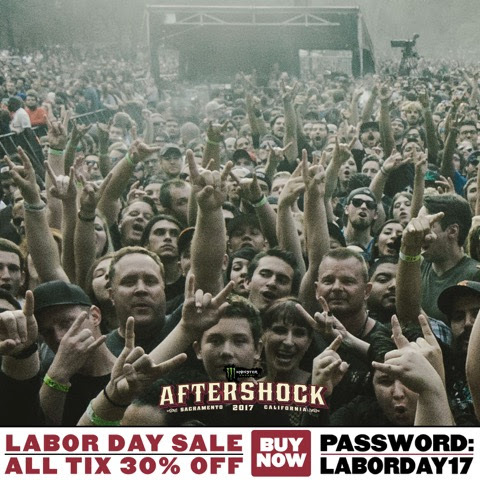 Did you get your tickets to Aftershock yet? How about nipping cross-country to Rock Allegiance? Or Louder Than Life? It's time for more festivals! Check out Fall For All right here for more details. BOTH AFTERSHOCK AND LOUDER THAN LIFE ARE 30% OFF THIS WEEKEND ONLY!!! Use the password, "LABORDAY17". 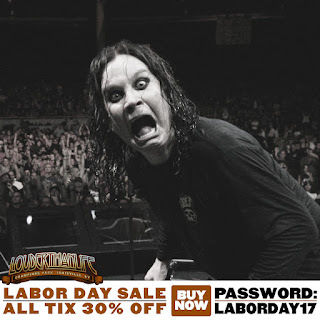 Rock Allegiance has a special deal on tickets this weekend, too. The deals start at midnight tonight... if you've been procrastinating, now's the time to stop and get those tickets safely in your pocket.